Minimum of $75 purchase required - enter code. Save an Extra $25 Off $100 orders - looking to save? Extra 25% off plus free shipping - apply code at checkout. Apply this code and get free shipping on your order. 35% off. Plus Free Shipping on top. 30% Off lingerie. For her. New here? 10% off for you. Off your first order of $50 or more. Select items available at a great discount. You can never have enough. All shapes, sizes, colors, styles. Be the first to know of new items and great sales! Frederick’s of Hollywood was founded in 1947 by Frederick Mellinger, the man who invented the push-up bra. The original store stood on Hollywood Boulevard and housed The Lingerie Museum which presented The Celebrity Lingerie Hall of Fame. The collection included lingerie worn by several Hollywood movie stars, including Madonna’s iconic spiked corset. Frederick’s daring designs revolutionized the lingerie industry, and you can still purchase and view his pioneering collection through American Fine Art, Inc.
Frederick’s was the leading lingerie store during the 50s through the 70s, and they normalized the previously foreign concept of purchasing lingerie through a catalog. However, in the 1980s, Victoria’s Secret, founded by Roy Raymond in 1977, overshadowed the company in the 80s. Since then, the company had struggled to stay afloat. In 2015, they filed for bankruptcy, and the Authentic Brands Group acquired the branch, launching it exclusively as an online store. In 2017, Megan Fox was named co-owner and opened her own collection. With her acquired role, she maintains creative input and the freedom to design her own line. In Frederick’s customer service section, they also offer a size guide to help their customers find their appropriate and accurate dimensions. They also provide a corset size guide and instructions on how to properly don a the outfit. Browse through the collection and place desired items into your bag. Once you have finished shopping, click the bag icon on the top right of your screen. You’ll then be redirected to the checkout window. Fill in the required information (email, shipping address, and credit card information) – hint: if you sign up for texts from Frederick’s, you can receive 10% off your next order. Once you’ve finishing filling in your information, turn your attention to the order summary section on the right side of your window. You’ll see three totals (subtotal, shipping, and final total). Click on that button and enter the coupon code. Click ‘Apply’ and the amount will be deducted off your total value. Then you can complete your purchase. Frederick’s Hollywood only accepts 1 discount code or promotion per order. There’s several options to connect with Frederick’s support. The easiest method would be to send an email to support@fredericks.com. You can also contact them by phone at 1-844-399-4364. Their customer support hours are Monday through Friday from 10am – 6pm EST. They are closed on weekends. For easy access to their social pages, scroll to the bottom of the website. In the footer, you’ll see the corresponding social media icons for each of their platforms. Click on the one(s) you’d like to visit or follow, and you’ll be redirected to their page. Frederick’s has a standard refund policy that is common amongst online retail chains. The store accepts returns for unused merchandise that has their original tags still attached. So, before you try on any items, make sure you leave the tags on. For a full refund, the item must be returned within 30 days of the original delivery date. If you’ve passed the 30 days, don’t stress; there’s another option. 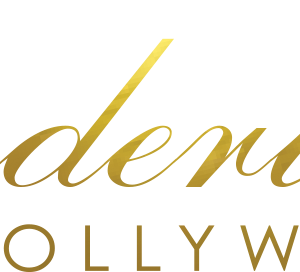 Within 60 days, you can return your item and receive a Frederick’s of Hollywood account credit that can be used to purchase other items. Returns typically take 7-10 days to fully process. You’ll be notified by email once your order has been processed and directed back into your account or credit card. Clearance items cannot be returned. They are final sale. You can also cancel or make changes to existing orders by contacting customer support. However, act fast, because once the order has been shipped or is ready to ship, they cannot make any changes.